Hiring a skip is easy once you know how it works! Consider Adlington Skip Hire to be your go-to skip hire firm for skip hire in Chorley and skip hire in Horwich, we can help you to dispose of your waste correctly and effectively. Before you start disposing of your waste from home renovations or commercial projects, you need to consider where you will store the skip. Here at Adlington Skip Hire, we advise you to leave your skip on private property, this way you’re only responsible for the waste that you throw in the skip. As well as this, if our Chorley skips are stored on your private property, you needn’t worry about the skips being located nearby to your property, allowing you to complete your project more efficiently. Regardless of whether you’re looking for Bolton skip hire or skip hire Horwich, we can help you to keep your premises clean and hazard-free but it’s essential that you don’t use your skip for hazardous waste! Keeping your skip on the road may seem like a good idea at the time, however, you need to make sure that you acquire the most up to date documentation from the local authority before you can do so. Storing your skip on the road may be the only option you have, especially if you don’t have access to a driveway. Adlington Skip Hire provide the Chorley skips to suit your requirements, we can obtain the permit from your local authority prior to the delivery of your skip, enabling you to dispose of your waste correctly. If your skip is to be stored on the road overnight, be mindful of fly-tippers. These will use your skip to dispose of any hazardous materials that don’t belong in the skip. You’re held responsible for the skip and the contents within it, so make sure that the materials you dispose of are safe and allowed in your skip. If there are any hazardous substances or materials found in your skip, you may be faced with a fine, not the fly-tippers who decided to use your skip for their waste! Don’t restrict access to property and premises! If you’re to store your skip on the road, make sure that it’s in a safe place and not causing a hindrance or nuisance to your neighbours. Adlington Skips recommend you don’t block any entrances or exits either because this will prove problematic in light of an emergency! Having said this, you should not block access to utilities, they may not be used very often but this isn’t to say that they won’t be! Skip hire in Chorley is just one of the services that we provide, here at Adlington Skips, but when it comes to storing your skip, it must be nowhere near junctions (make sure it’s at least 15m away from the junction). your local authority should be able to point you in the correct direction- they’ll inform you of road restrictions and how to dispose of your waste safely. 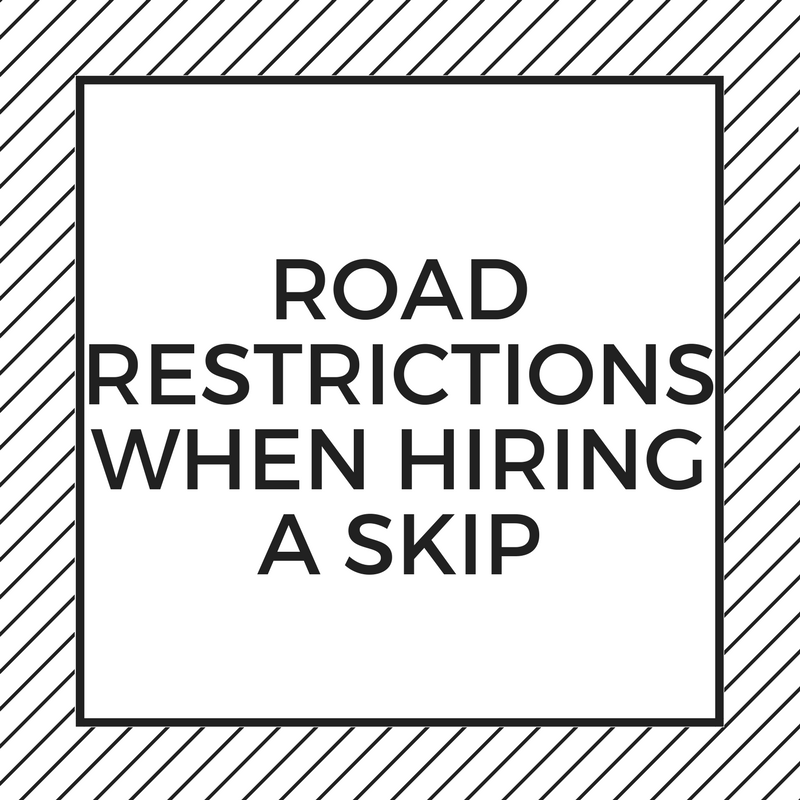 However, if you’re looking for expert advice when it comes to finding out more about the road restrictions associated with Bolton skip hire, look no further than Adlington Skip Hire! We will be more than willing to help you to grasp a greater understanding of the ways in which skip hire works best and ensure that you adhere to rules and regulations. Call 01257 474 747 today!